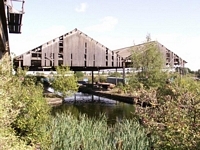 Chillington Wharf was originally constructed by the Chillington Iron Company (as Monmore Green Basin) for transhipment of products from their nearby foundry, via tramway, onto the BCN's Birmingham Canal. 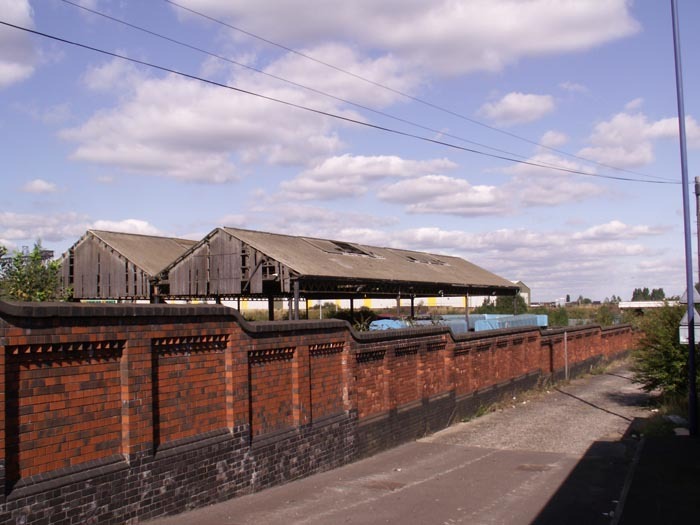 Unfortunately, Chillington Iron Company went bust in 1885 with the wharf being bought by the then-rapidly expanding LNWR who linked the wharf to their line into Wolverhampton High Level station between Ettingshall Road and Monmore Green stations and rebuilt the site in 1902. 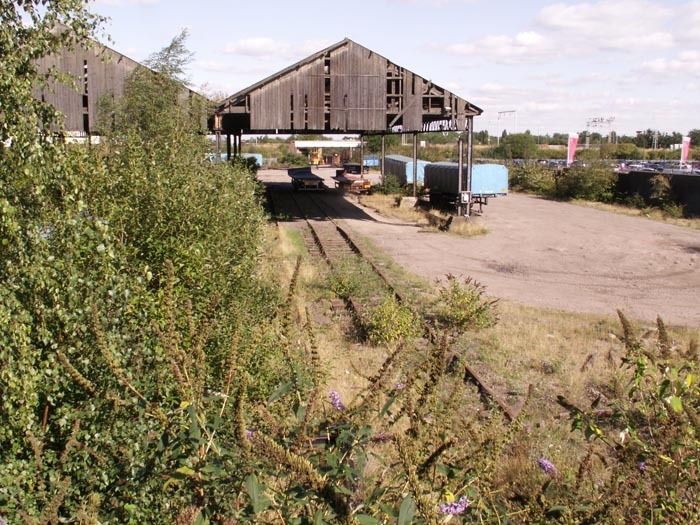 For me, this was a lucky find as, although I had heard of it, it was only a chance glance from the window of the Midland Metro as I was travelling along Bilston Road that alerted me to its presence! 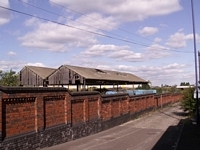 Above we see the site from the now disused gateway on the corner of Chillington Street and Bilston Road. Although the site is now listed and partly in use by EWS, it is in very poor repair, as you will see below, and would certainly benefit from some remedial maintenance and/or investment in restoration if it is to be prevented from further deterioration. Above-left we are looking along Chillington Street from Bilston Road with trucks from the present day Steel Terminal visible to the left. 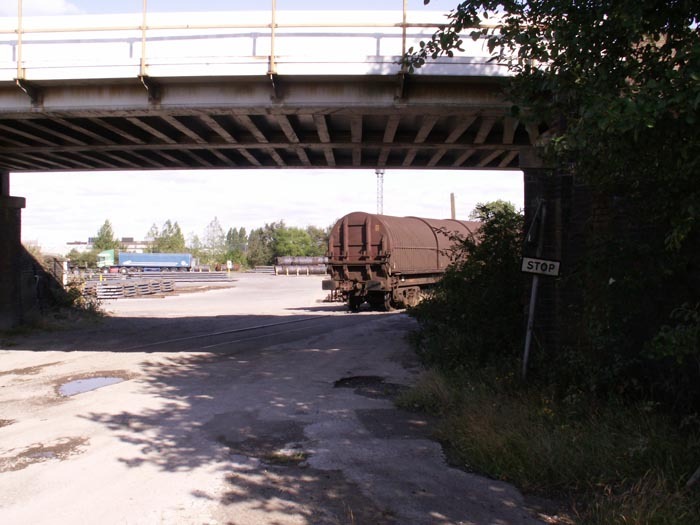 Above-right we have walked as far as is now possible along Chillington Street, with the wharf to our left, and are looking through the gates under the Birmingham-Wolverhampton main line and into the extant Steel Terminal, the majority of which lies out of shot beyond the railway embankment ahead. Above-left we have made our way onto the towpath along the canal which provides, largely as the result of therer being a hump-backed bridge under which the canal passes to enter the wharf, the best vantage point for viewing the site. This shot clearly shows the railway siding, which is alongside the canal arm that is obscured by the bush to the left-hand side of the shot. 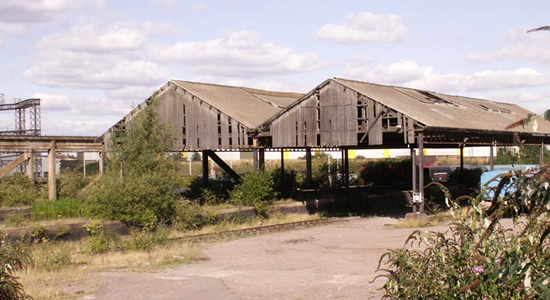 Above-right we get a better view of the transhipment shed under which there is now a single canal arm: there were originally two. 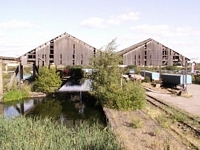 Above-left we are again getting a view of the transhipment shed showing both the railway and canal and above-right we see the side of the shed with the canal and railway off-camera to the right. 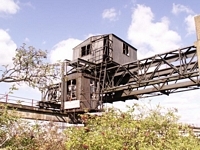 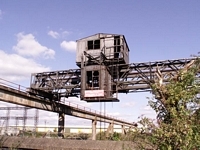 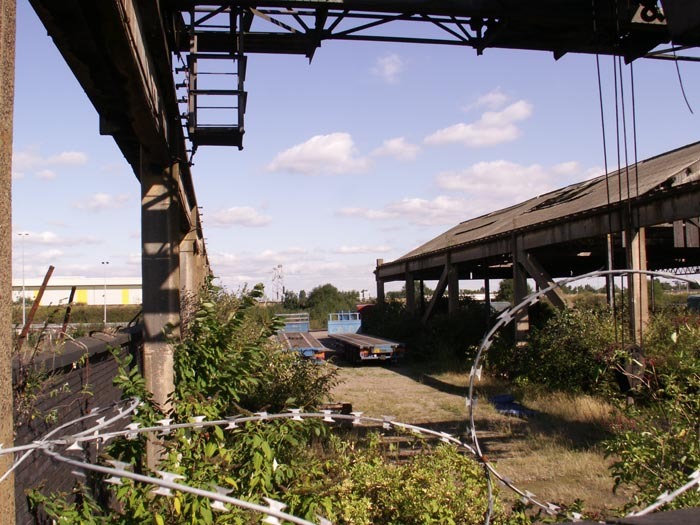 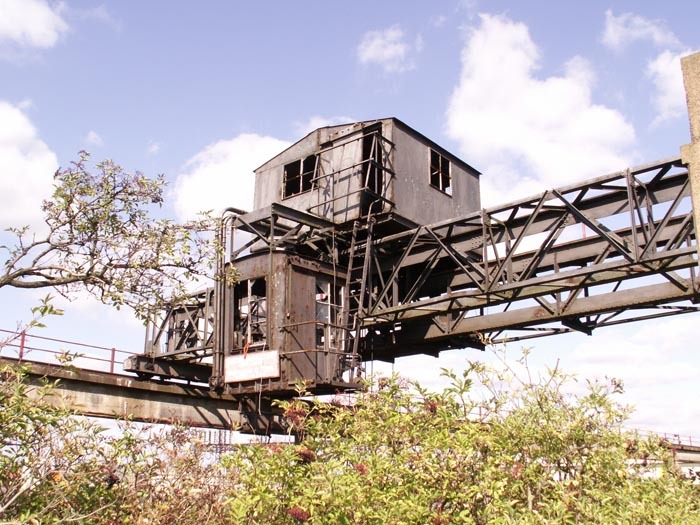 Above-right and left we see an interesting remnant of the wharf's working history: a Babcock & Wilcox Ltd 10-ton overhead crane that now hovers precariously above the site. All-in-all this was a fascinating 'find' and I would certainly recommend a visit especially as it is, I believe, the only wharf of its type still standing!